New Releases – Page 2 – Oh My Stellar! Christmas has just passed us but I have one more post to write about the MAC x Patrickstarrr collaboration so I’m speeding through it tonight! I’m sure that these will be available for a little while longer but they’re definitely limited to the Christmas season, so you’ll need to rush in to get these before they’re totally gone. 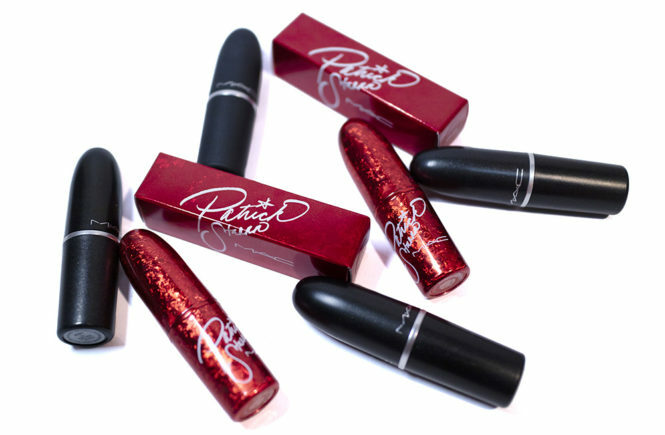 These are from the fourth and final collaboration with Youtube star (and incredible make up artist) Patrick Starr – Sleigh Ride, perfectly red and shimmery for this holiday season. The full collection includes three lipsticks, five dazzleglass shades, two eyeshadow palettes, three loose pigments, a mineralise skinfinish and the hyped patrick’s powder. Naturally, I wanted to get everything but I’m on a mission not to spend my life’s savings so I cut it down to what I love the best from MAC Cosmetics – their bullet lipsticks! I got myself two out of the three shades from the collection and they’re honestly so perfect for me! Here we have Spank Me Santa and Slay Ride – a dusty rose brown and a bright pinkish red. I’ve been wearing them obsessively since I got them so, click on for photos, swatches and a review of my two new favourite shades! This product was gifted to me at a public event. I was not paid for this post and affiliate links are not used in this post. I’m worried that this palette will be completely out of stock after Christmas, as well as a handful other products, so I feel like I need to be throwing these at you guys so that you still have time to shop! I’m not too fussed if it’s a product that I don’t like, since I don’t need to be recommending it anyway, but for those that I do, I really want to make sure that I feature them. 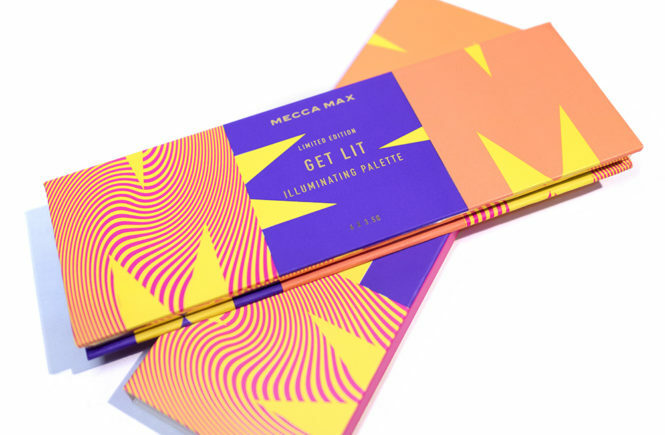 One palette that I have been totally loving for this Holiday season is the Mecca Max Get Lit Illuminating Palette, which is sold exclusively at Mecca Maxima (sorry guys – this will be an Australia and New Zealand product only). I received this as a pre-launch gift from an event that I went to – a public event, not a PR one – so I didn’t know much about it at first. However, since I’ve been using it, I have loved this more and more! This product sells for AUD$30 and contains four powder and two cream highlighters. It is currently unavailable online so you’ll need to check your local stores (which you can do via the website) to see if they have it in! It’s got a great price point and incredible high end quality so this comes highly recommended by me. Let’s get into this review! To be honest, I was seriously deliberating on whether or not to write this review – not because I am hesitant about this product (in fact, this might be the best thing I bought this entire holiday season) but because I just can’t catch the product in a photo properly! I have tried videos, multiple different lights and swatching techniques… nothing. Even the official image doesn’t do it justice, in my opinion. Instead I am just writing this review to let you know about this product and my thoughts on it. I have my own swatches down below, but also check out Temptalia’s swatch – which is the only almost accurate one I have found. 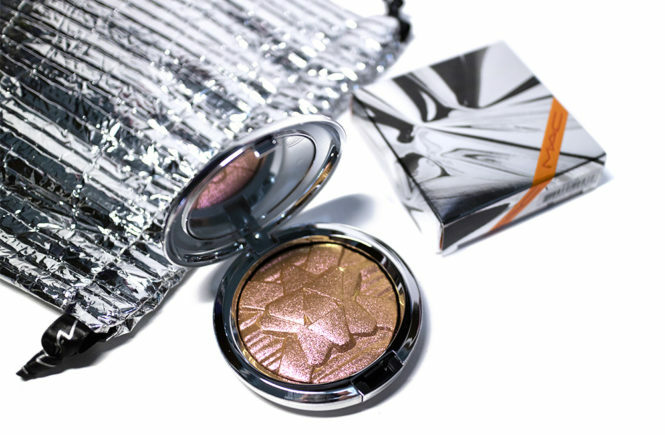 So this is the MAC Cosmetics Holiday 2018 release from the Pretty Little Things collection – the Extra Dimension Skinfinish in the shade Snowflushed. 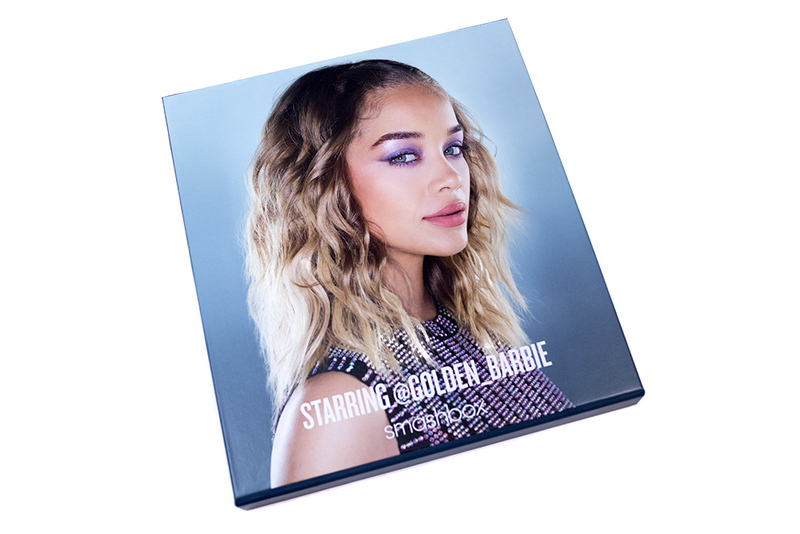 This is especially popular as it’s been coined a dupe for last year’s limited edition Stylishly Merry eyeshadow (except in a highlighter form, of course) – it was sold out in most stores, if not all! When my local store finally had a restock, I managed to get my hands on this before it even went out on shelves – and I have no regrets. As of right now, it is restocked online – so jump on quick! 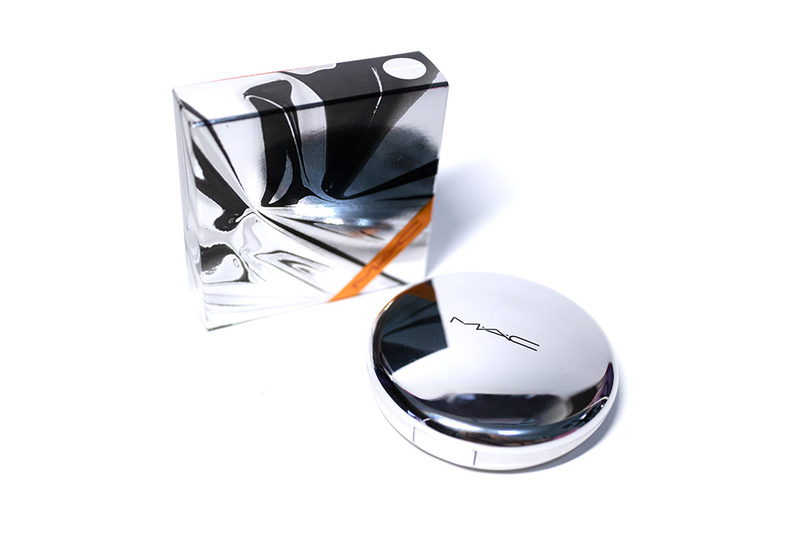 This highlighter retails for AUD$54 at MAC Cosmetics – which is their standard price. It is also available in two shades for the holidays (Snowflushed and Oh Darling) but their Extra Dimension Skinfinishes are actually available with eight shades in the permanent range too. These products were sent to me for review purposes. I was not paid for this post and affiliate links are not used in this post. Have you guys heard of the W7 Cosmetics brand before? I’ve actually come across them a few times in the past (mainly while I was on my way to buy hayfever medication) but have never actually stopped to check them out. They’re a drugstore brand from the UK and, in Australia, the brand is primarily stocked at Chemist Warehouse – which is our discount pharmacy. Alongside W7 Cosmetics they also carry a lot of other mainstream drugstore cosmetic brands too. 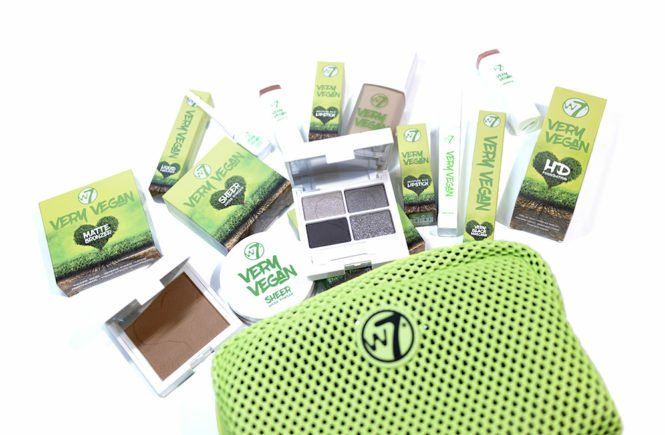 I was recently approached to try out their new Very Vegan collection, which has recently launched to an Australian audience, and even though I’ve never tried them out before – I figured, why not? 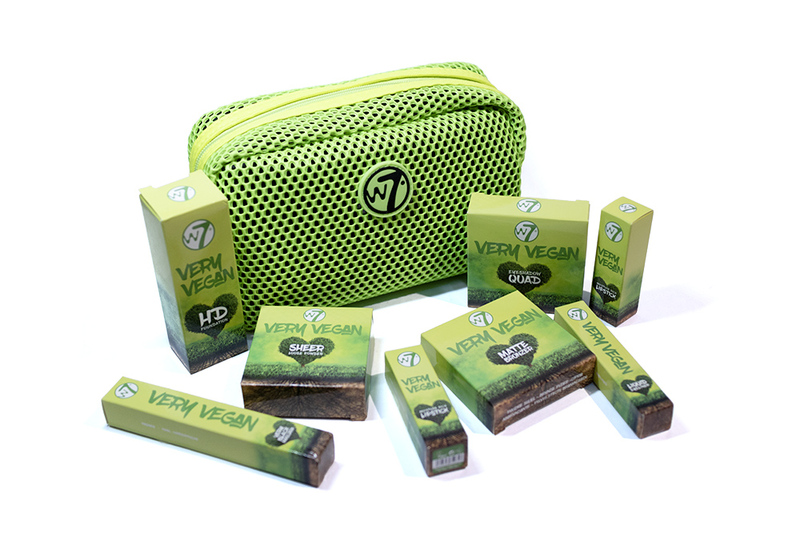 Although I don’t personally follow a vegan lifestyle, I know that many people do and it can be very difficult to find suitable alternatives for simple products – and for those people, this line would be perfect! I was sent over a massive assortment of products, almost every single time from their line, and while some products work better for me than others – there are some definite gems in this pile. So, let’s get right into this! The Althea Exclusive range has been growing lately and I’m really lucky to get a first look at a lot of them. Many of the products I’ve tried have been centred around floral ingredients (such as the Petal Velvet Powder which I love), so I think that this milk-based formula is actually totally new to their range. I want to show you a new release called the Milk Peel Cream Mask which is a clay-type foam/whipped mask that promises to revitalise and hydrate skin. I haven’t been using a lot of wash off masks lately, especially not clay masks, because I have been focusing more on cleansing my skin and then healing my break outs (via oil rebalancing). I was pretty keen to try this just because it is milk themed though – I have used milk based products in the past and really liked them. This product did surprise me though, in that it was not what I expected it to be. This was released around two weeks ago and is now available at Althea for USD$9 – you can also get free shipping on all of the Althea Exclusive products with the code PBSHIP. So, I’ll cut this rambling short and let’s just right into this. Do you guys remember me posting about the Smashbox Petal Metal Covershot Palette all the way back in July? Well, I got the most insanely exciting delivery a few weeks ago from Mecca Maxima – a massive collection of these super travel-friendly eyeshadow palettes in all of the different colour variants, some old and some new to the Australian market. I’m going to quickly take you through the whole PR package that I received (because it’s so pretty) but I will also dive into my personal thoughts on each of the eight palettes, as well as the full swatches! If you’re just here for the swatches, click read more and then go right to the bottom because I have compiled them all into one photo for you but – otherwise – let’s get into it! Following up from my previous review, I figured that it’s time to write about this Double Dare kit that I also received from StyleKorean – and was obviously the most excited to try out because of the packaging. I actually tried this out before the three step mask so this was my first impression of the brand, and they definitely impressed me. Although I received this package as a set, the products are actually sold individually on the website. You can get the OMG! Peeling Gel for USD$22 or the OMG! Pulling Gel for USD$15 (USD$28 if you want it with the mini brush too), They also have these really cute head bands (the OMG! Head Band) for USD$8 each – and they come in six different colours but, as if it is fate, I got the black one! So, I’ll briefly go over this kit packaging and mostly talk about the products as individuals. Let’s get into it! Note: I have been notified that Althea has made a correction to the ingredients of this product. 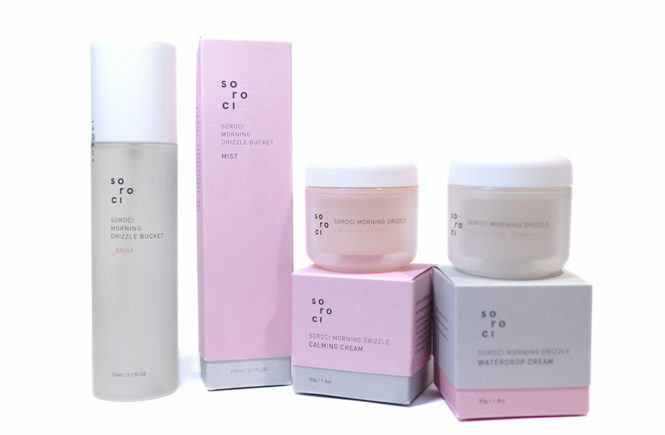 Due to mistranslations, Hyaluronic Acid was included in the ingredients list of the Sunaway, but this ingredient was not used in the development of this product. This review has been amended for this. I am a firm, firm believer in the importance of using sun protection and it’s pretty rare for me to go out without it (although whether or not I use SPF on my body is another question – one which I should fix up). At the moment, I have three sunscreens on rotation in my routine: one which is a staple HG product and the other two which I tried out recently. Being a part of the Althea Angels community, one of the biggest benefits is that we get access to information about new releases (and sometimes the actual products) before the launch date and I was pretty excited when they announced their news sunscreen! This is meant to be both hydrating and with sebum control properties, so it really fits in perfectly to what I usually look for in SPF. 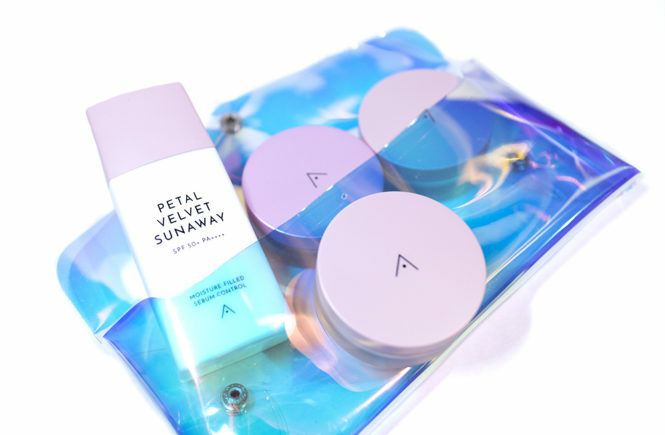 I have tried out this product, the Petal Velvet Sunaway, for a handful of weeks now and I have to say that I’m pretty satisfied with this product! It is also very affordable at USD$10 on their website – which is always a benefit. In the same range, there is also the Petal Velvet Powder, which I will touch on briefly as they are available in a set for USD$13 – 10% off the retail price. So, let’s get right into this review/new release post! The most exciting thing about Christmas – in my opinion – is the masses of special holiday releases! I don’t usually receive Christmas presents anymore (the joys of being an adult) but that doesn’t mean that I can’t spoil myself a little. In anticipation of these new products launching at Mecca, I was lucky enough to get their full catalogue, which means that I’m ready to share with you guys all of the products that I’ll be checking out or recommending for gifting (whether it is to someone you love or yourself). 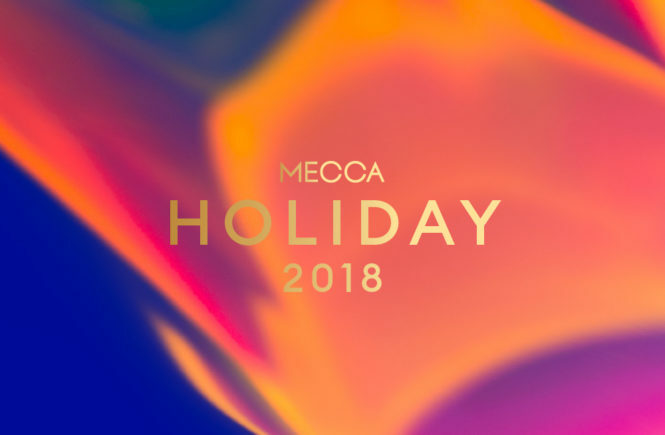 For Mecca’s holiday campaign, they have partnered up with the National Gallery of Victoria and are collaborating with Rebecca Baumann on their creative (see the cover photo). According to the press release, “For her collaboration with Mecca, Baumann ‘painted with light’ to created these joyful, ethereal and exquisite artworks which perfectly capture the spirit of the holiday season.” I’m so keen to see all of the stores decked out in this artwork, because I am all about supporting Australian artists! So, let’s move right onto the products! Out of the full catalogue (which is quite lengthy), I’ve selected a bunch of products that I find especially interesting to share. I have ordered them alphabetically, so click on to check them all out. Otherwise, you can also see all of Mecca’s offerings on their website. All of these holiday collections will be available both in-store and online from 8 November.